A lot of people have a tattoo about their health condition. It’s handy for paramedics and maybe for some people to come to terms with their condition. I’ve seen tattoos about epilepsy and allergies and many others. 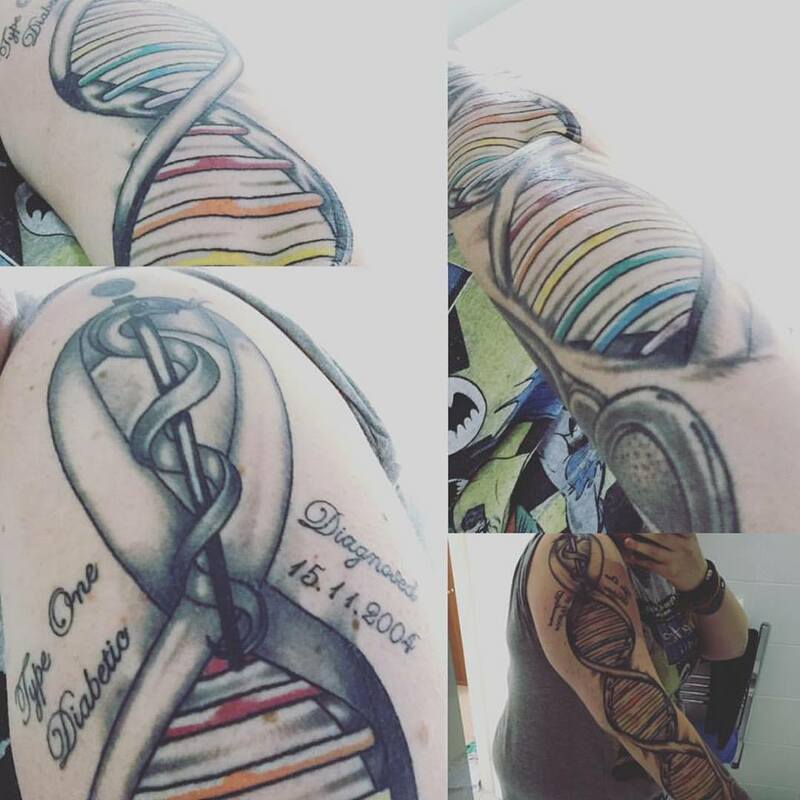 In October 2015, I decided to get a tattoo about my T1D. People have commented saying “why do you want to be labelled” and “is it really necessary? You have a medic alert band!”. Yes, I know I have a medic alert band on my right wrist, thanks. And I wouldn’t say it’s a label. It’s just information that’s on my arm. I did it because T1D is a part of me. It always will be (until they find a cure! And in that case, I can put “used to be” above the type one diabetic!) It’s a really personal thing because it’s a very personal condition. 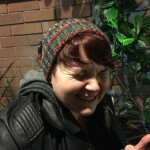 I love it, but I thought I would blog about it, just to let the world know why I did it. I saw someone from Disability and Dyslexia in my uni, and they took a photo to show prospective students. Many people don’t want a band around their wrist because it’s not personal. I know you can change the colours and everything, but it’s not the same. It’s not my first tattoo so I knew what to expect! Jules, the guy who did it, was really impressed and I will always go back to him! Please get in contact if you want to know where to find him! So, as I’m a geneticist I thought I would stick with the theme of DNA! And because I’m also gay, the bases in between the sugar-phosphate backbone are the gay pride colours. This tattoo represents me and is me in a piece of art. This is the thing about tattoos compared with medic alert jewellery, you can choose anything and everything about it! 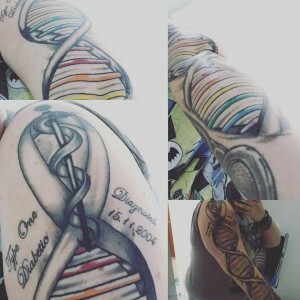 there’s a medical snake at the top entwined in the DNA and the date of my diagnosis next to it. A lot of people don’t like it which is fine. It’s on my arm at the end of the day! And yes, after 6 hours of sitting in a chair with thousands of needles injecting ink into my skin it hurt. A lot! But after 12 years of injecting at least 5 times a day, I’m pretty used to it. My mother hates it, as expected. I accepted that I had T1D years ago. But now it feels like I’ve got a bit of closure. Might sound daft to some, but hopefully not to others. I feel proud to have this ink on my arm, as I always will.